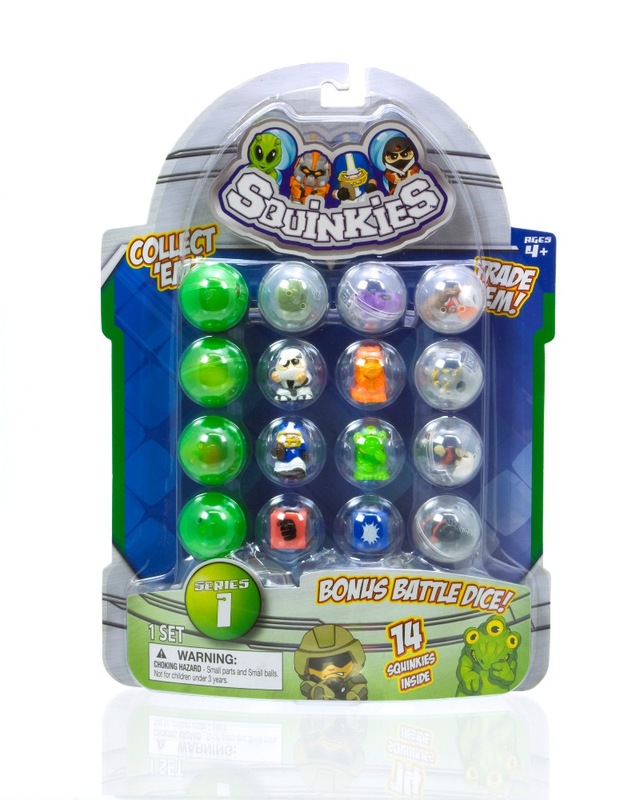 Squinkies are back and better than ever! Blip Toys now has a line of Squinkies geared for the little man of the house. In case you don't know what Squinkies are...they are soft, squishy mini-figures that kids all over are collecting. Available are animals, princesses, cars, etc. Squinkies come in a little plastic bubble, a smaller version of the big plastic bubbles that come out of a vending machine with a surprise inside. Kids can also get a line of accessories and playsets to accompany thier collection of Squinkies. 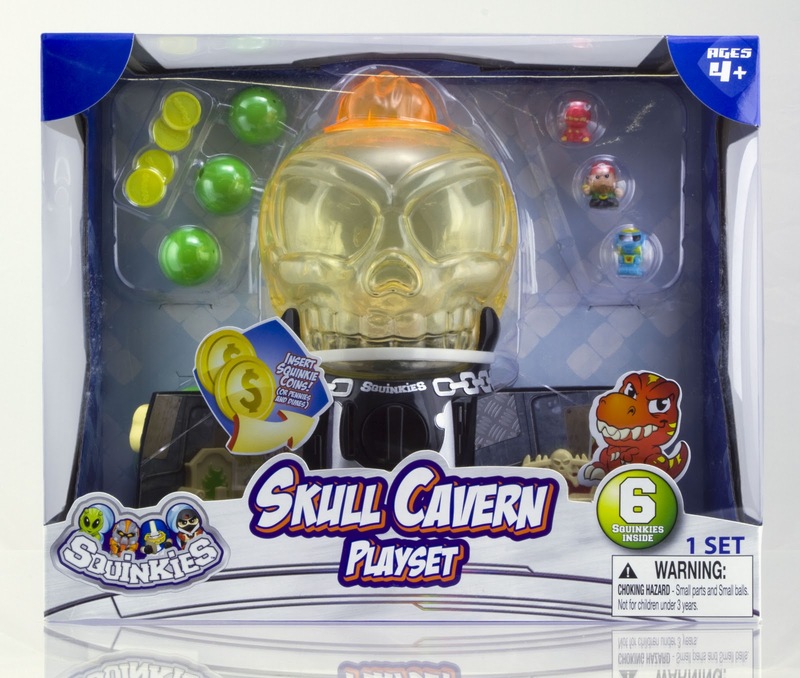 A cool new Playset is the Squinkies Skull Cavern Dispenser Playset. It is like a traditional style gum ball dispenser. All you have to do is load your Squinkies in the top, insert magic Squinkies coin, or you can use a nickel or dime, and turn the dial for a Squinkies to come rolling out! This playset is really cool. 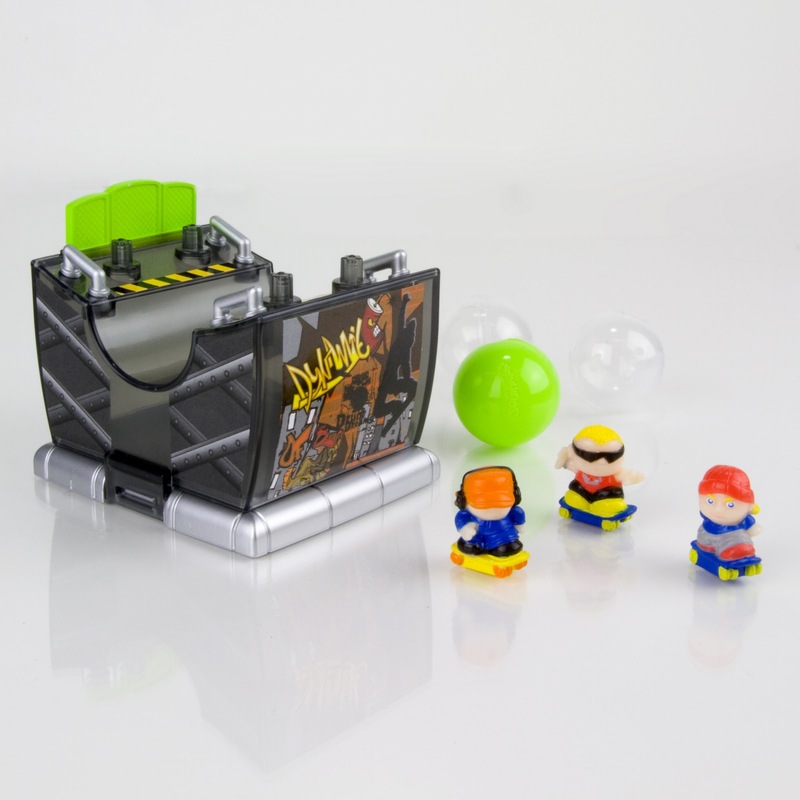 Not only can you store up to 20 Squinkies, but it dispenses them too. 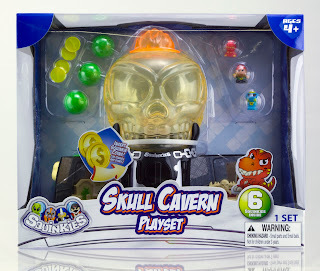 The Skull Cavern Playset also opens up for additional play. 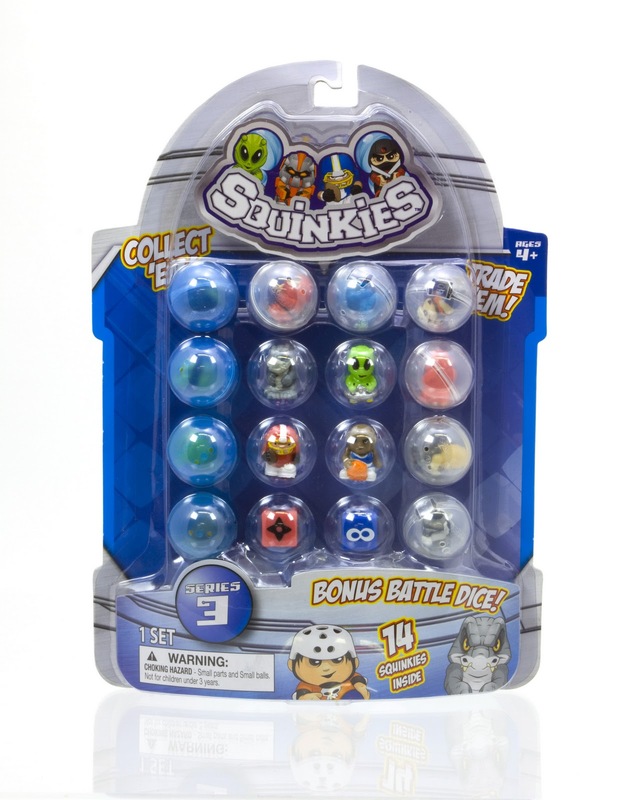 Included is 6 themed Squinkies characters and 4 magic coins. Squinkies Rides are mini-dispensers shaped like vehicles that have places to display and interact with your Squinkies. I love that you can store all three characters in their bubbles inside the dispenser when play is done. Squinkies Xtreme Ride features a cool half-pipe with 3 skater "dudes". 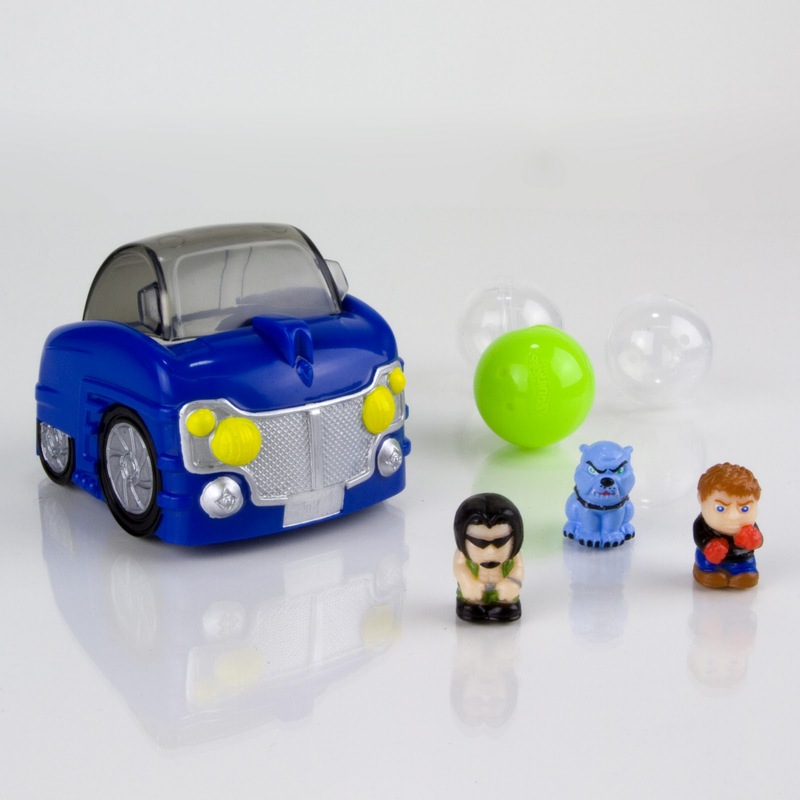 Squinkies Low Ride features a "tricked out street racer with 2 street fighters and their trusty bull dog". Squinkies Space Ride features a "futuristic spaceship with 2 astronauts and an awesome alien". 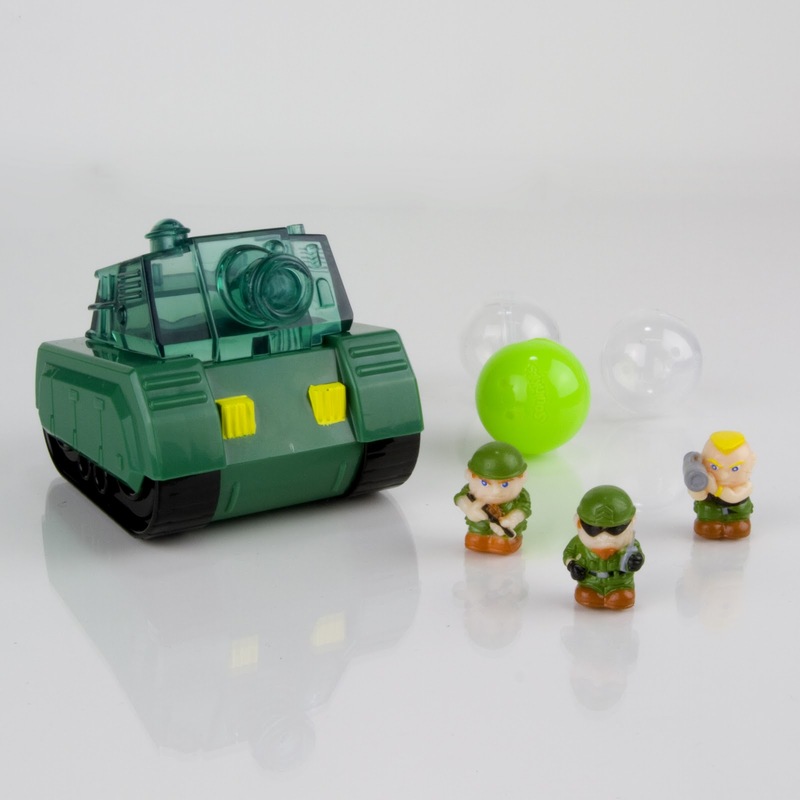 Squinkies Tuff Ride features a "heavy-duty tank with 3 soldiers armed and ready for combat." 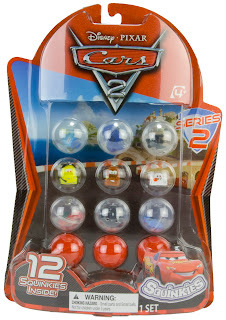 Squinkies Cars 2 Bubble Pack - Series 2: If you love the movie Cars, you will love Cars Squinkies! 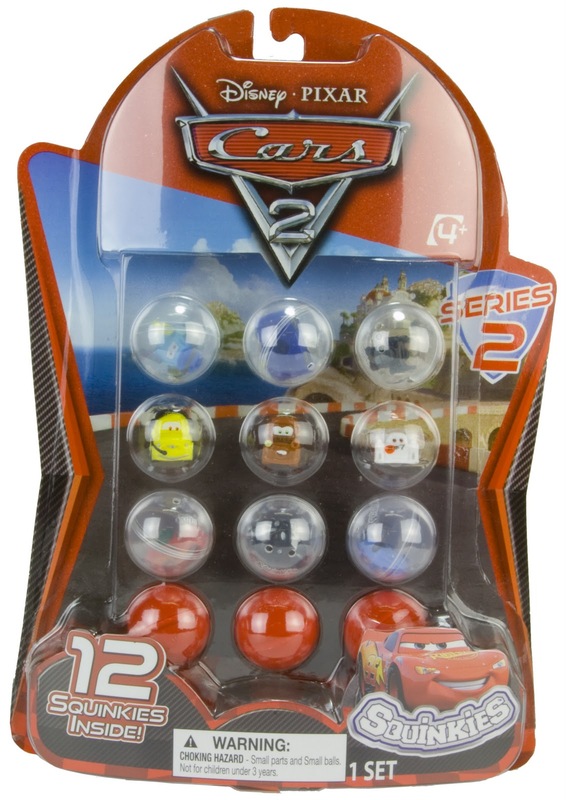 In this Cars Squinkies Bubble Pack, you will find all your favorite characters from the movie including Lightning McQueen, Mater, Guido, and more! Squinkies Hot Wheels Bubble Pack - Series 2: Calling all Hot Wheels fans! 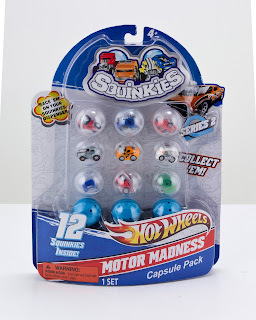 Race around with the all-new, very cool Squinkies Hot Wheels cars. These are the perfect cars to race around or to trade with friends. 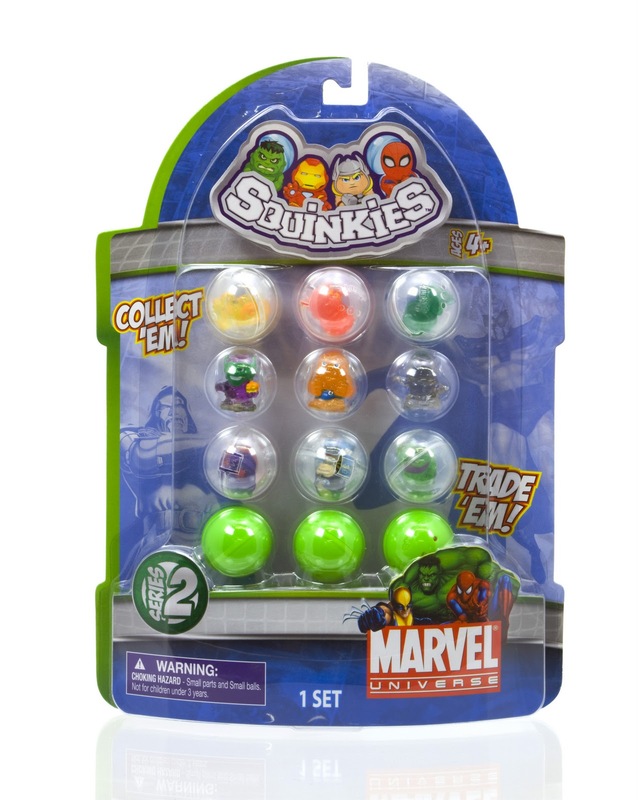 Marvel Universe Bubble Pack - Series 2: This is the ultimate Squinkies Bubble Packs for boys! You will find all of your favorite super heros and villains from the Marvel Universe! Would you like to win some of your own Squinkies? Fill out the form below and enter to win! The Giveaway will run from 9/26/11 5:00pm to 10/5/11 at 5:00pm EST. You may enter once daily, including bonus entries. Congratulations to Christine S., Michelle F., and Rebecca P, winners of the Squinkies Giveaway. All winners will be notified via email and will have 48 hours to respond before another winner is chosen. 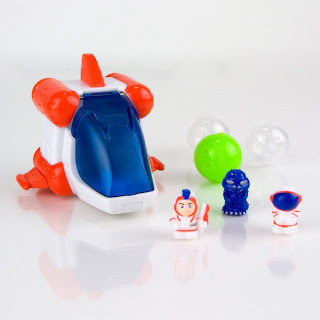 Blip Toys provided me with the items above in order to facilitate this review. All opinions are 100% mine.